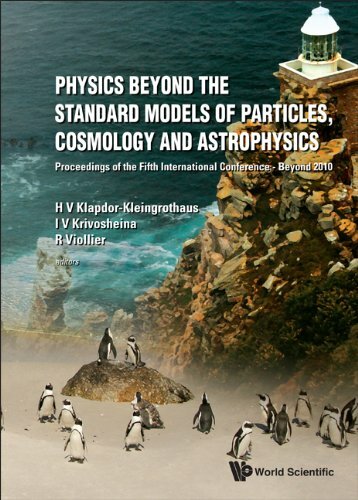 [PDF] Physics Beyond the Standard Models of Particles, Cosmology and Astrophysics: Proceedings of the Fifth International Conference Beyond 2010 (World Scientific) | Free eBooks Download - EBOOKEE! Posted on 2017-10-15, by luongquocchinh. Description: This book contains the proceedings of the Fifth International Conference on Physics Beyond the Standard Models of Particle Physics, Cosmology and Astrophysics. It presents a brilliant overview of the status and future potential and trends in experimental and theoretical particle physics, cosmology and astrophysics, in the complimentary sectors of accelerator, non-accelerator and space physics. No comments for "[PDF] Physics Beyond the Standard Models of Particles, Cosmology and Astrophysics: Proceedings of the Fifth International Conference Beyond 2010 (World Scientific)".